Fact: More than 80% of Americans admit to wasting money. And much of that money, they say, comes in the form of food and drink. 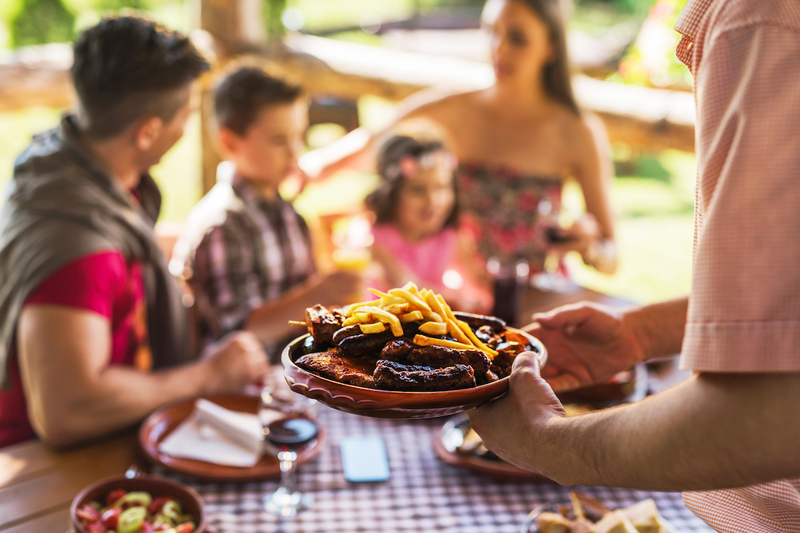 Nearly 70% of people said they spent too much on going out to eat, according to the 2,000 folks who responded to Hloom’s recent “The United States of Financial Waste” survey. The good news is these respondents said, yes, they’d be willing to cut back on this spending. The bad news is that temptations are difficult to curve. They’re not traditional restaurant discounts or coupons, but here are some easy ways to earn money back each time you eat (or drink) out. It’s basically getting paid to eat at restaurants. We’ve earned hundreds of dollars back on groceries thanks to Ibotta. But, what many consumers don’t realize, is the free cash-back app also offers cash-back rewards for restaurants and bars. If you haven’t already, download the app, tap “Find Rebates,” then scroll down to the “Restaurants & Bars” category. There, you’ll find nearby deals, including 10% cash back at Krispy Kreme and Buffalo Wild Wings. The best part is you can find cash-back opportunities for any restaurant or any bar. For example, order a Shock Top and any food item from anywhere your heart desires and score $2 cash back. Plus, Ibotta will give you a $10 welcome bonus just for signing up. See what’s available in your area. Something like 1% back on a meal might not seem like much, but it can add up quickly, especially if you’re feeding a family. If you’re eating out, you might as well use a rewards credit card to get something back from your meal. Bonus: Here are a few more reward opportunities. Each of these methods can earn you some money back on your meals. But true Penny Hoarders stack ’em up for ultimate savings. For example, try deal-stacking some of these offers — like paying through Subtotal with a cash-back card. You’ll earn points back on both platforms. Then, scan your receipt through Ibotta for even more cash back. Exercise some creativity with your restaurant discounts and see how close to free your meal can be!